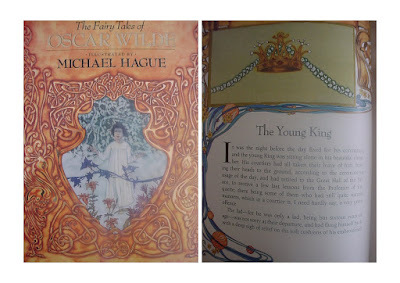 Before Al Gore, before fair trade coffee, before simple living, before bloggers, and certainly before any of this came crashing into my awareness, there was "The Young King", a short story by Oscar Wilde. I do not know much more than the standard about Mr. Wilde, but I have loved his stories since a child, and this was always one of my favourites. These days I find it more complex than I remember, and I don't really agree with the ending other than it is literary-wise the romantic thing to do, but I still love it. And the odd thing is, most of the arguments that I encounter against the choices that our little family makes for a simpler, greener, more connected life could be taken from characters in this story, verbatim. If you have time, I invite you to read it, as it is a pleasurable read, and a good place to start.